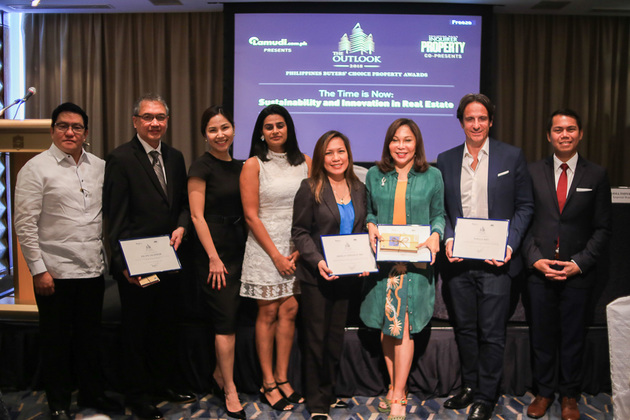 Lamudi, the number one online real estate platform, hosted a media roundtable for The Outlook 2018 by Lamudi last October 18, 2018, at Makati Shangri-La. The media roundtable, with the theme “The Time is Now: Sustainability and Innovation in Real Estate,” was moderated by Prof. Felipe Calderon, Assistant Professor at the Asian Institute of Management, Department of Finance, Accounting and Economics and Head of Washington SyCip Graduate School of Business. Some of the leading thought leaders in the real estate sector, as well as the key voices who are pushing for a green and sustainable Philippines, were invited to be panelists. Group President and CEO of Imperial Homes Group of Companies Ms. Emma Imperial provided a statistic by PricewaterhouseCoopers (PwC), noting that 54 percent of businesses are already adopting innovations for sustainability, her company, Imperial Homes, included. Chairman and CEO of Italpinas Development Corporation Mr. Romolo Nati agreed that the sustainable mobility aspect of electric vehicles is good. He was also inclined toward having improved planning and public transportation. The country’s air quality would greatly benefit from having more people on bicycles, as well as more users of electric vehicles. To encourage a wider use of this alternative, Atty. Ibay cited the introduction of charging facilities in developments. Mr. Wenceslao indicated that there should be a sustainable master plan that should not be affected by changes in the country’s political landscape. Ms. Imperial also agreed that government regulation is necessary to make sustainability efforts easier to attain. For her part, Atty. Ibay cited barriers existing in three areas. Economics, meaning that some companies believe that it would take away from its bottom line when in fact it could contribute to it. Institutional, which again needs better policies along with regulation and implementation. She focused however on the social aspect, underlining the need of people to understand what sustainability is. Arch. Nati offered a more practical take on the matter. He posed the question on how to sell a green building project while making it profitable for the market. They have to see what the financial benefits are for purchasing a sustainable product. Imperial Homes also helped further innovation in the country by using Connovate technology in their products. This results in each home contributing a reduction of 1.2 tons of CO2. It also dispenses with the need for scaffolding for construction workers resulting in an increase in workplace safety. She also shared her vision of making the Philippines the solar capital of mass housing communities in Asia. For D.M. Wenceslao and Associates Incorporated, they partnered up with the DENR to help limit the waste that is expelled into Manila Bay. Their developments currently focus on this area and they have installed eco-barriers to help manage garbage. The WWF regards sustainability as One Planet Cities. Whatever is done in one city, impacts another. The WWF works with cities to have their action plans integrated with sustainability. 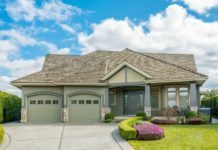 These are observed in terms of urban planning, green spaces, construction materials as well as the things that are individually used and consumed. Italpinas Development Corporation’s Arch. Nati said the company has been creating buildings that save on energy without making the construction cost higher. Arch. Nati mentioned that such concepts have long existed, even in ancient history. 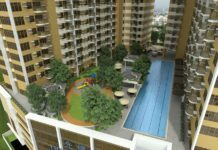 This is in line with the company’s vision to complete and advance the integration between green features and design. The Outlook 2018, co-presented by Philippine Daily Inquirer Property, will have a gala awarding ceremony on November 15, 2018. It will be held at the Makati Shangri-la Hotel. The event will cite excellence in selected categories of the real estate industry. It will include a Special Award for Best Green Project of the Year 2018. For more information on The Outlook 2018, please visit the official event page.